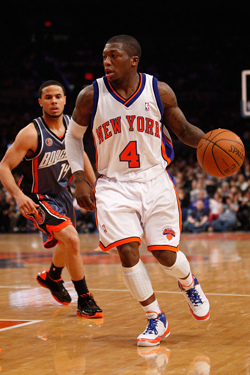 Nate Robinson is at once the most exhilarating and most frustrating player on this year's Knicks. Listed at five foot nine but probably closer to five seven, his combination of explosiveness and strength is freakish even among the collection of athletic freaks known as the NBA. And he has the explosive, willful personality to match, which can help and hurt the team in equal measure. First up: Knicks versus Heat, tonight, 7:30 p.m.